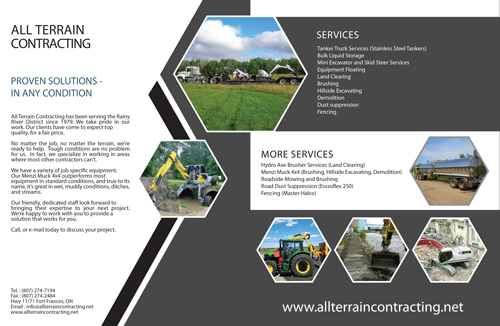 All Terrain Contracting has been serving the Rainy River District since 1979. We take pride in our work. Our clients have come to expect top quality, for a fair price. No matter the job, no matter the terrain, we?re ready to help. Tough conditions are no problem for us. 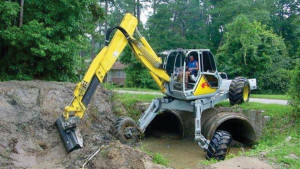 In fact, we specialize in working in areas where most other contractors can?t. 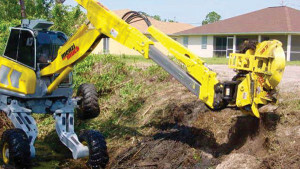 We have a variety of job specific equipment. Our Menzi Muck 4?4 outperforms most equipment in standard conditions, and true to its name, it?s great in wet, muddy conditions, ditches, and streams. Our friendly, dedicated staff look forward to bringing their expertise to your next project. We?re happy to work with you to provide a solution that works for you. 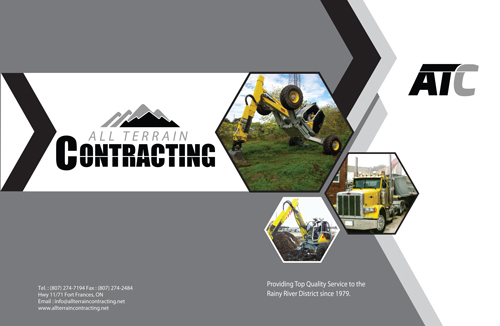 Call, or e-mail today to discuss your project.